Tech Tip: Creating, saving, retrieving saved waypoints… EarthNC, Gaia GPS and Stanford University team of up for Shark Net App. Kayak cruising, is there an app for that? 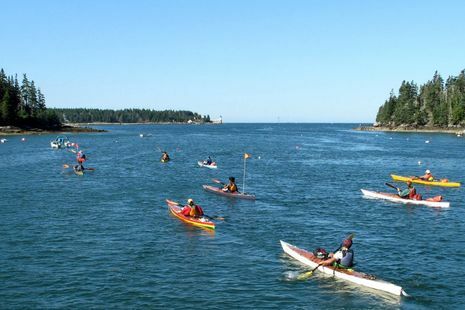 While there are many wonderful non-profits helping to preserve the Maine coast and to enable public access, one of my favorites is the Maine Island Trail Association. MITA has established a network of island campgrounds that can be visited by small boat. The Trail is used primarily by kayakers but I’ve visited many MITA-monitoried islands in larger boats, sail and power, and can attest to the fact that the organization has established a leave-no-trace ethic that really works. I use both the printed and online MITA Guide and appreciate other membership benefits but largely support the organization because I so like the idea of more people…. follow this link to read the entire article.